The music on this album was arranged and recorded by our Jersey Worship team. Enjoy previews of each track here. Physical copies of the CD are available for purchase in our Main Lobby, or click the link below to purchase on iTunes. 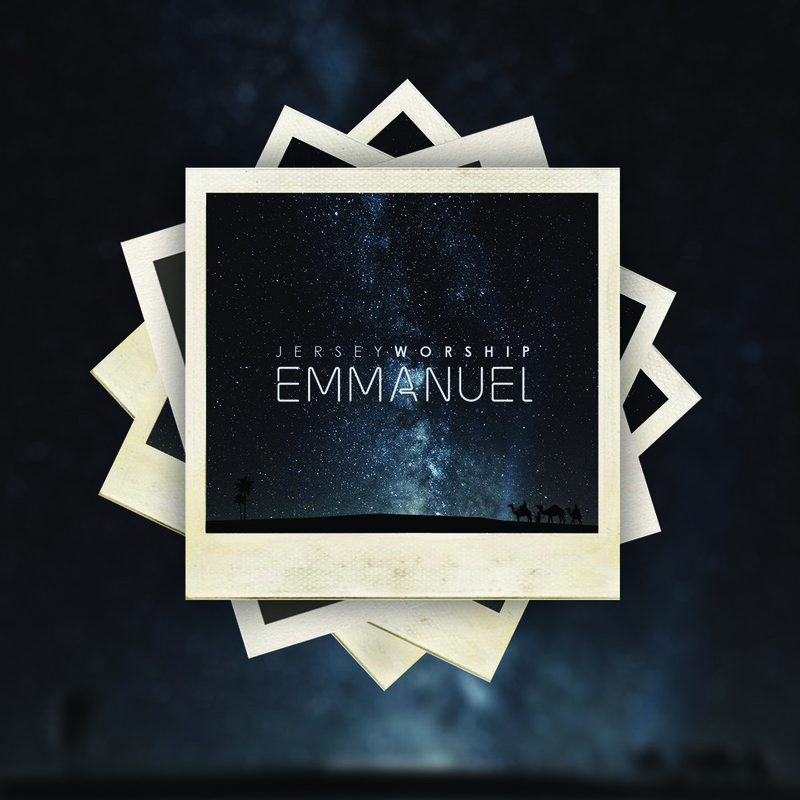 "Emmanuel" is an adventurous mix of soaring alternative rock and traditional themes. It's a journey from anthemic, indie-pop chorus' through the traditional melodies and lyrics we all love about Christmas. God is with us. This album is a response to the joy, hope, and faith that God chose to be among us. He has unveiled His full culmination of love and His name is Jesus. While each of these songs maintains elements of their original melodies and lyrics, Jersey Worship has composed the music to fit what they have experienced while reflecting on the purpose and truth behind these rich traditions. To further emphasize the outburst of heart in these songs, Jersey Worship adds response through original chorus and refrain to the depth found in familiar verses. Prepare yourself for a refined mix of alternative rock instrumentation with light electronic orchestration. "Emmanuel" employs the intricate intertwining of catchy guitar riffs, provoking piano/synth lines and foot stopping rhythmic sections to inspire excitement, reflection and response. "Advent" is an exciting blend of alternative rock and ancient melody. It harmonizes the nostalgia of your favorite Christmas with a worshipful modern sound. For the contemplative, the broken, the weary, for the ones in need, this record is for you. The composition of Advent was chosen based on Isaiah 52:7-8. "How beautiful on the mountains are the feet of the herald, who proclaims peace, who brings news of good things, who proclaims salvation, who says to Zion, 'Your God reigns!' The voices of your watchmen--they lift up their voices, shouting for joy together; for every eye will see when the LORD returns to Zion." We really wanted to capture the essence of Christmas being the first Advent, the first coming of Christ. The record moves like echoes in a cave. Each call responding to the one before. Starting with "Silent Night", an invitation to slow down a little, to watch for the Christ child, to make room for His coming. "Do you hear what I hear?" reverberates the stirring of that waiting. Affirming the idea of something being born out of nothing, of a light coming in the darkness, of a cry in the wilderness. "Come Thou Long Expected Jesus" resonates with a yearning, a craving for that light to shine in the darkness, for the love of that long awaited Christ. “Divinum Mysterium" resounding in a loud "yes", that the Love of God is alive, is moving, is here, and is deeper than we ever imagined. Which only beckons one response: "O Come Let Us Adore Him". We hope that this record is not just another collection of Christmas music, but that it stirs you and invites you on a journey while we await the second Advent: the return of Christ.